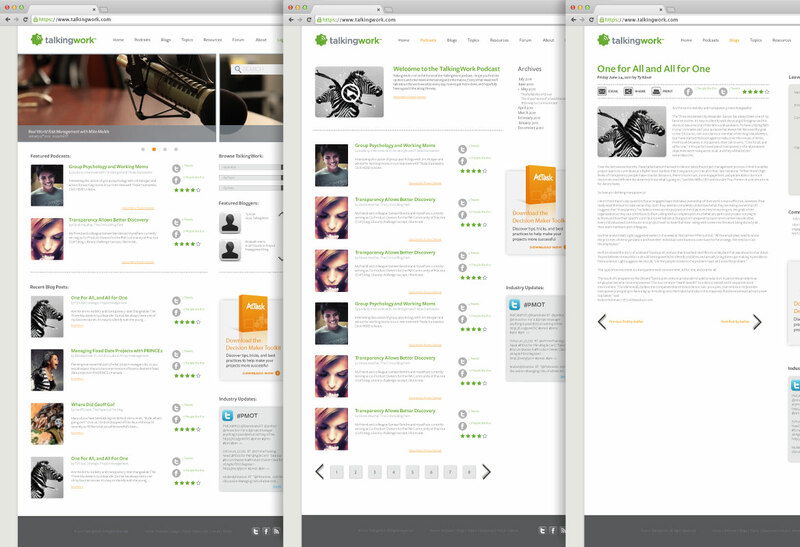 The TalkingWork.com website design was a fun and challenging project. The website needed to give users easy acces to podcasts and blogposts that would be updated on a weekly basis. Hundreds of existing blog posts and podcasts were ready to be included into the new design, so content was certainly not an issue. I designed the website within bootstraps easy to use 12 column grid system. TalkingWork.com is the home of the TalkingWork podcast where you can find opinions and interviews from some of the leading authorities in the project management industry.